It took a lot of bicycle activity to propel Cleveland Heights to recognition as a bronze-level Bicycle Friendly Community in 2013. Building on that, Bicycle Month in the Heights should be more eventful than ever, as Cleveland Heights and cities nationwide focus on cycling activities during May. As summer approaches, May is a time to educate children and adults on how to be safe and comfortable as bicyclists, and to enjoy this healthy and environmentally friendly activity. 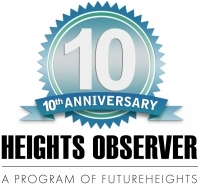 The Heights Bicycle Coalition (HBC) is collaborating with local schools and cities on several educational initiatives. This year, more Heights schools than ever are getting into the act by participating in Walk or Bike to School Day on Wednesday, May 7. Ruffing Montessori School will promote Walk or Bike to School Day for the first time, as public schools in the Cleveland Heights-University Heights City School District have done for several years. This May, Roxboro Elementary School will join other schools in hosting a bike rodeo. It will include a helmet giveaway for students who need them. The helmets are donated by the Ohio chapter of the American Association of Pediatricians. Bike to Work Week (May 12–16) and Bike to Work Day (Friday, May 16) encourage bicycle commuting. On May 16, 7–9:30 a.m., HBC teams up with Phoenix Coffee, FutureHeights and the City of Cleveland Heights to host the third-annual free coffee station for bicycle commuters at the intersection of Edgehill and Overlook roads—one of the busiest bicycle routes in Northeast Ohio. 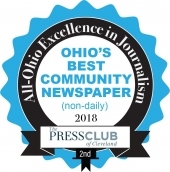 In a first-time event that same day, at 8:30 a.m., Sarah Wilson-Jones, bicycle enthusiast and proprietor of Phoenix Coffee stores, will lead a ride from the Phoenix Coventry location to downtown Cleveland. May 21 is the fifth annual Ride of Silence, a slow and silent ride in memory of those injured or killed while riding bicycles. The East Side ride departs at 6 p.m. from the Carroll Expansion Lot at John Carroll University and progresses slowly west on Fairmount Boulevard, ending at the oval in front of University Hospitals on Adelbert Road in University Circle. There, riders will meet up with a contingent from downtown Cleveland for a brief memorial at about 7 p.m.
New this year, on Saturday, May 31, 11 a.m. to 2 p.m., HBC collaborates with Coventry Village to offer a Bike Tune-up Day at the Coventry Courtyard on the northwest corner of Coventry Road and Euclid Heights Boulevard. All are welcome to bring their bikes for minor repairs and assessment. Mary Dunbar is a member of Cleveland Heights City Council and president of the Heights Bicycle Coalition.